The Jewish holiday Passover is just around the corner, which means that for eight days, leavened bread is verboten and everything’s coming up matzo! Streit’s: Matzo and the American Dream explores the fascinating history of the Streit’s Matzo factory, which operated for nearly a century on New York’s Lower East Side. Before you tune in to this film about the only family-owned matzo company in America, nosh on our 8 Fun Facts About Matzo. The first matzo-making machine was invented in 1838 by a French Jew named Isaac Singer — no relation to the famous sewing machine inventor. The pioneering machine rolled the dough instead of kneading it, decreased prep time and increased productivity. 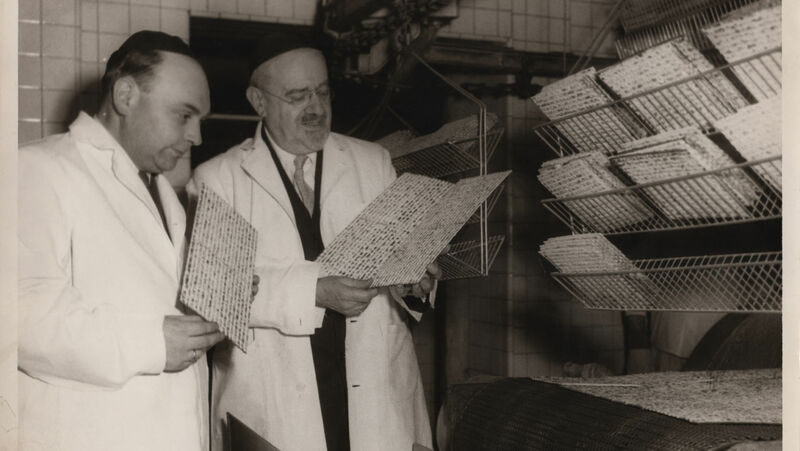 Many rabbis objected to the mass production of matzo, but Singer’s machine resulted in a larger supply, produced more cheaply, which benefited Jewish communities around the world. Automated matzo production also led to the shape of matzo changing from round to square. Every square of matzo has hundreds of tiny holes. What’s up with that? The holes allow steam to pass through the dough, preventing it from rising and turning into leavened bread, like pita. 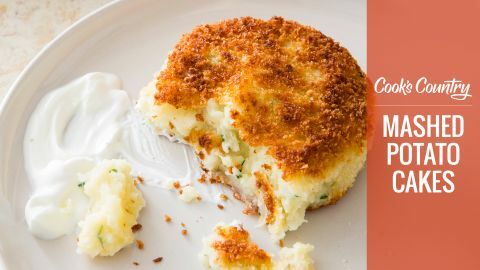 The holes also play a crucial part in the koshering process, says Dan Pashman, host of the food podcast and blog The Sporkful. “The rabbinical inspectors, who make sure the matzo is kosher when it comes off the assembly line, break it along those holes and then against the grain, to make sure it cooked through so it’s no longer leavening,” he says in this NPR interview. 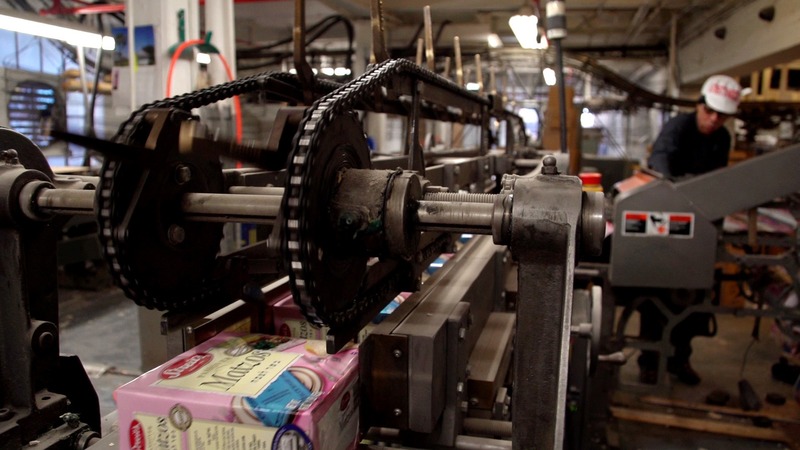 You might expect America’s matzo history to be exclusively rooted in New York City’s Lower East Side, but Cincinnati, Ohio can claim the country’s first matzo factory: the B. Manischewitz Company. It was founded in 1888 by Rabbi Dov Behr Abramson, a Russian immigrant who bought the passport of a deceased man named Manischewitz to gain entry to the United States. The enterprising rabbi started baking matzo in his basement because the local Jewish community was having trouble finding Passover matzo. He called his popular product Cincinnati Matzos – but when other bakers started using his product name, he renamed his matzos and the Manischewitz brand was born. Barack Obama was the first U.S. President to have Passover seders in the White House — complete with Maxwell House Haggadahs and matzo. He and First Lady Michelle Obama hosted eight seders during his term as president. Click here for photos of all the White House Passover Seders from 2009-2016. Retro commercial jingles are notoriously peppy, and they don’t get catchier than the deliciously tuneful Manischewitz Matzo jingle. Thanks to the Yiddish Radio Project’s CD, Music From the Yiddish Radio Project, you can enjoy this gem performed by The Barry Sisters and Jan Bart with Sam Medoff and the Yiddish Swingtet – and many other amazing archival recordings from the Golden Age of Yiddish Radio in the 1930s, 40s, and 50s. We’ve come across lots of mouthwatering recipes that include matzo, such as Joan Nathan’s Passover cheesecake (adapted from Fania Lewando’s 1938 The Vilna Vegetarian Cookbook) and Michele Streit Heilbrun’s Matzo Spanikopita (from her book Matzo: 35 Recipes for Passover and All Year Long). 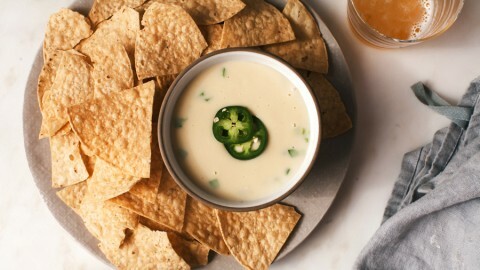 But who knew you could bake matzo at home? 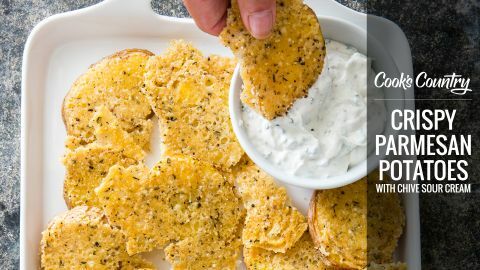 Matzo mavens and master chefs, give this tasty DIY Matzo recipe from KQED Food a shot – and let us know in the Comments, below, how you fare on your maiden matzo voyage! Streit’s: Matzo and the American Dream airs Sunday, April 7 at 1:30 p.m. and Thursday, April 18 at 10:30 p.m. on THIRTEEN. Become a member of THIRTEEN today and receive a copy of Matzo: 35 Recipes for Passover and All Year Long. 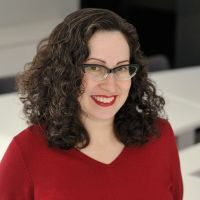 Elisa Lichtenbaum, editor of the monthly THIRTEEN program guide, is also Senior Writer at WNET, a tap dancer and theater geek.